Cities, not nation states, are the dominant form of human civilization in the 21st century. Humanity transitioned from a rural to a primarily urban species – homo urbanis – at breathtaking speed. In the early 1800s, less than 3% of the world’s population lived in cities; today, more than half of the global population is urban and by 2050, the proportion will rise to three quarters. There are thousands of small and medium-sized cities along with more than 30 megacities and sprawling, networked metropolitan areas — conurbations — with 15 million residents or more. Yet despite these massive transformations in how people live and interact, our international affairs are still largely dictated by nation states, not cities. This is neither fair nor tenable. Cities are beginning to flex their muscles on the international stage. They are already displacing nation states as the central nodes of the global economy, generating close to 80% of global GDP. Cities like New York and Tokyo are bigger in GDP terms than many G-20 countries. Metropolitan regions and special economic zones are linking global cities through transnational supply chains. A growing number of mega-regions, such as those linking cities in Mexico and the US, transcend borders. In the process, cities are collectively forging common regional plans, trading partnerships, and infrastructure corridors. The spectacular rise of cities did not happen by accident. Cities channel creativity, connect human capital, and when well governed, drive growth. Cities represent humanity’s most realistic hope of collective survival, not least when it comes to reversing and mitigating climate change and renewing democracy. Many enlightened and open-minded mayors are stepping up even as national politicians step back. Working in partnership with business and academia, a number of them are embracing robust environmental standards, welcoming new migrants, and aggressively promoting diversity and tolerance. This is in stark contrast to an alarming number of national leaders who are fuelling xenophobia, bigotry and polarization. To make matters worse, nation states are weakening: the expedited flow of ideas, capital and people and the impact of new technologies are corroding their authority and legitimacy. Although a growing number of large cities are punching above their weight economically, most of them still lack real political power. This is to some extent by design. Until recently, cities were systematically excluded from international decision-making. The UN, for example, routinely left cities out of debates on urban development, migration, health and security. So have most countries, including on issues critical to urban areas. Cities also have struggled to secure credit, loans and grants from international financial institutions, including the World Bank. Despite trends toward devolution and decentralization in North America and Western Europe, nation states are still reluctant to cede real power to sub-national authorities. As a result, many cities lack the constitutional authority and legal discretion to take crucial decisions. This deficit in political power is even more glaring among cities in low and middle-income countries, especially South Asia, Sub-Saharan Africa and Latin America. In many emerging markets, political power is intensely concentrated in the federal government with municipal authorities appointed by the executive. Yet it is precisely these fast-growing cities that will require greater authority to act locally – not least owing to the unregulated nature of urbanization. 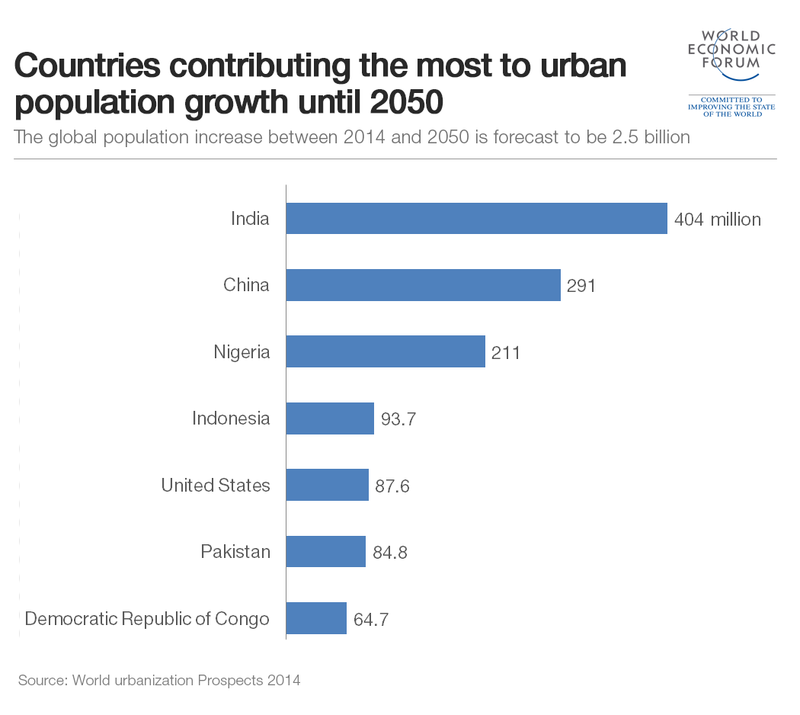 Urban populations in Asia and Africa alone are expected to swell by another 2.5 billion by 2050, compared to just 170 million in upper-income countries. Yet many city leaders in these regions are effectively ciphers with no real latitude. In Mumbai, for example, hardly anyone knows the mayor or what he does since real power is vested in the office of Maharashtra state’s chief minister. The chief minister also lacks any political incentives to transfer power to an elected and ambitious mayor. The case of Mumbai is instructive. This sprawling city of 18.5 million people is an economic goliath with an annual GDP of $310 billion. Mumbai alone has a bigger economy than Pakistan or Bangladesh. The city generates roughly two-thirds of the wealth of Maharashtra yet registers just 20% of the state’s voters. Not surprisingly, national and state politicians suffer limited electoral pain (and often win elections) when extracting revenues from Mumbai and redistributing resources to other regions. But transferring more decision-making power from the state to the elected city government is crucial not just for the survival of Mumbai, but for that of the state and nation too. There are a few ways in which this process could be expedited, including a powerful, bottom-up demand by Mumbai residents to change the status quo; recognition by politicians that the urban voter is a viable political constituency; and, the judicial route, where the supreme court forces a devolution of power to urban local bodies. Given the economic might of cities, it’s surprising they don’t exercise more of their soft power. But change is coming: one way that cities are augmenting their political power in national and global arenas is by forging inter-city coalitions. The last few decades have seen an explosion of city networks – more than 300 at last count – addressing everything from urban governance and trade to climate and safety. Around 100 of them are international and they are helping cities to amplify their voices on the international stage. In the realm of climate change, there is the C40 Climate Cities network, a group of 80 cities founded 10 years ago by three mayors (London’s Ken Livingstone, Toronto’s David Miller and New York’s Michael Bloomberg). The C40 helps cities decarbonize, facilitates opportunities to exchange best practices, and leapfrog old technologies. As of 2018, the network has enabled more than 9,100 cities representing 780 million people to agree on a global pact to meet – and ideally exceed – the Paris Climate Agreement targets. There are already 8,000 cities that have set up solar power farms, more than 1,000 relying on hydroelectric power and more than 300 that are almost entirely dependent on renewable energy. When it comes to public security, there is the European Forum for Urban Security(EFUS) and the Strong Cities network, both working to promote evidence-based approaches to crime prevention and the fight against radicalization and extremism. An exciting new politics of empowered cities is emerging in which metropolitan leaders and urban residents are demanding a seat at the decision-making table. Cities are on the frontline of most contemporary global threats, including sea level rise, growing air pollution, deepening inequality, mass migration and terrorism. Mayors and urban residents cannot afford to be complacent in the wake of massive floods, storm surges and the salinization of land. More fundamentally, cities – especially large global cities – have always been the vanguard of openness, pushing for open borders, markets, societies and minds. Most modern progressive social movements originated in cities precisely because they instinctively accommodate difference, disagreement and diversity. They reshape democratic governance from below. There are also signs of cities pushing back against the reactionary nationalism and populism that is spreading around the world. From Brazil and the US to Hungary and Poland, nationalist politicians are seeking to tighten borders, restrict in-migration and push back against diversity. Large and medium-sized cities — especially in North America and Western Europe — are forging networks of solidarity across international and national boundaries. These glimmers of soft power are not abstract: they involve practical actions ranging from expanding investment in renewables and reducing inequality; to offering sanctuary to new arrivals, including migrants and refugees. This burst of city networking is promising but still insufficient to truly scale cities’ soft power to address the world’s most pressing challenges. In 2016, a Global Parliament of Mayors was created to help cities assert their political authority and drive metropolitan innovation. While only in its third year, this year it assembled close to 100 mayors in Bristol, in alliance with the 1,400 members of the US Conference of Mayors, to agitate for change on issues of migration, health and security. The parliament may prove a nimble and flexible force in an era where existing multilateral structures are struggling to address global threats. In addition, it could potentially help hasten greater devolution of power in Asia and Africa. Cities and their networks are helping rewire the circuitry of global affairs. Mayors are increasing diplomacy, not just between cities, but also with international institutions. In ideal cases, they are working with regional and national counterparts. Where necessary, cities are side-stepping them altogether. The affirmation of greater urban sovereignty and city rights are central to progressive change. While the 21st century ought to belong to cities, the path ahead is rocky and uncertain. There are no easy solutions to our most pressing problems, many of which will play out in cities. The challenges of city governance, especially the attainment of greater devolution, in developing countries are particularly intractable and will require incredible ingenuity to address. That many cities and their residents are rolling up their sleeves and getting things done — where nations have failed — are grounds for optimism. In the future, we hope that it is not so much presidents and prime ministers that will define our fates — but our proximate, accountable, and empowered city leaders.